Twenty years ago this spring, the world watched with horror as genocide unfolded in Rwanda. In one hundred days, up to one million people were killed. As Hutu militias and ordinary citizens killed their Tutsi neighbors, the international press described these ethnic groups as fixed racial categories with a long history of “tribal” tension. The New York Times announced “Terror Convulses Rwandan Capital as Tribes Battle” and frequently referred to Rwanda’s “warring tribal factions” in its ongoing coverage. In scholarly circles, the “tribal tension” narrative of the Rwandan genocide has been discredited as researchers have explained the violence as a result of complex historical processes related to competition over political power. However, this hasn’t stopped the news media from explaining more recent episodes of violence—such as those in the Central African Republic or South Sudan—in predominantly ethnic terms, again ignoring the complexities and history of such violence. Popular understandings of race and ethnicity tend to see ethnic groups as unchanging, characterized by a strong, shared identity. But scholars like Rogers Brubaker challenge us to think beyond ethnic groups as fixed entities by suggesting that ethnicity is relational and dynamic—in other words, ethnicity, and the way we understand it, can change. In line with this, Stathis Kalyvas has shown how groups “harden” or “soften” their ethnic identities during periods of widespread upheaval like genocide or civil war. Ethnicity is shaped by how individuals understand their ethnic identity and perceive their connections to other group members, as well as by how external actors categorize members of the ethnic group. This dynamic is particularly pronounced during and after violence, as ethnic elites can play up ethnicity in an attempt to rally against an ethnically defined “other.” At the same time, aid groups, journalists, and foreign governments continue to declare conflict after conflict “ethnic” or “tribal.” Ethnicity can also become racialized—or attached to phenotypical characteristics—as was the case in Rwanda. 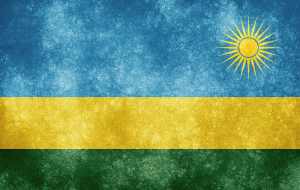 Rwanda is a particularly interesting case in which to examine the fluidity of ethno-racial categories. The violence there unfolded along ethno-racial lines, but any public discussion of ethnicity was quickly outlawed in the aftermath. In this process, racialized ethnic categories were replaced by politically acceptable non-ethnic categories like survivor, perpetrator, and returning refugee. This allowed divisions within ethnic groups to gain importance and ultimately changed the way ethnicity is understood in Rwanda. There has been an abundance of research on Rwanda since its 1994 genocide. While described by non-specialists during (and after) the genocide as “tribes,” the categories of Hutu, Tutsi, and Twa—or the various Rwandan ubwokos, as clan or ethnicity is referred to in Kinyarwanda—have come to be understood as dynamic identities that have held different meanings during different time periods. Traditionally, members of these groups speak the same language, live in the same areas, practice the same religion, and belong to the same clans. Hutus, who have historically comprised approximately 86% of the population, were typically farmers and of a lower social status than Tutsis, the cattle-owning elite who comprised approximately 13% of the population and were primarily engaged in animal husbandry. In other words, in the pre-colonial era, the distinction between the two groups was predominately based on wealth, not on race. According to researcher Scott Straus, Tutsis’ control of the monarchy placed them in higher social strata than Hutus and made them the obvious partners for the German and Belgian colonial administrations. During the colonial period a further distinction between the two groups was made based on physical features: colonialists perceived Hutus as generally shorter and wider in stature and Tutsis as generally taller and more slender. This racial distinction was hardened as colonial administrators drew on the Hamitic myth of racial superiority (which holds that some people in Africa, including the Tutsi, descend from Caucasians) to give special privileges to the Tutsi. Of course, there were many exceptions to these physical traits, and thus an individual’s ethno-racial identity was also learned through various institutions and interactions—including through the assignment of an ethnic category on an individual’s state-issued identification card. Finally, throughout Rwandan history, it was also possible to change ubwoko, or ethnic identification. Just as U.S. ethnic and racial categories have changed over time and can take on different meanings depending upon context, wealthy Hutus who obtained cattle could be considered Tutsi, and poor Tutsi farmers sometimes identified as Hutu. In April 1994, President Habyarimana’s plane was shot down as it attempted to land in Kigali. 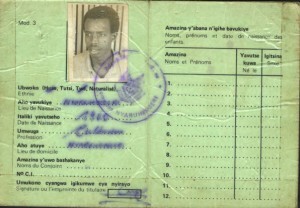 Within hours, roadblocks were in place around the city, and lists of prominent Tutsi (as well as Hutus who disagreed with the extremists’ plans) were distributed. The murder of Tutsis was first carried out by members of the armed forces and paramilitary groups, but, before long, bands of ordinary Rwandan men (and some women) were recruited to join in as enforcers. Since the physical differences between Tutsi and Hutu are not clear, individuals were killed if their government identification cards, or an accusing finger of a neighbor or associate, identified them as Tutsi. During the genocide, the RPF continued to fight for control of the state—the genocide effectively occurred in the context of a civil war. The RPF finally succeeded in stopping the genocide in July 1994 when it secured control of the country. During the hundred days of bloodshed, between 500,000 and 1 million Rwandans had been killed. Another 2 million had fled across the border to the Democratic Republic of the Congo (then Zaire). 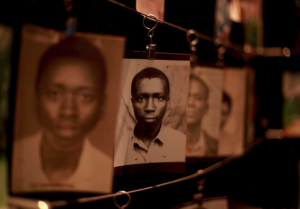 While the majority of the dead were Tutsi, a significant percentage of those killed were Hutu. 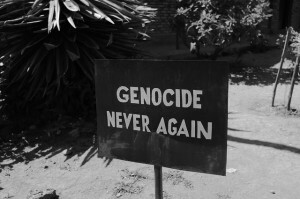 Countless actors, including elites in the genocidal regime, the media, the RPF government, and internationals, were involved in the genocide, and many played a role in transforming ethnic categories in Rwanda. Extremists in the genocidal regime linked a fear of the RPF to a general fear of Tutsi, and in doing so “hardened” the racialized divide between Tutsi and Hutu. International media outlets also helped “harden” ethnic identities by portraying the conflict predominantly in ethnic or tribal terms, rather than as a complicated competition for political power. International news agencies talked about the violence as a form of “tribal bloodletting,” which made the genocide seem inevitable and impossible to stem. But in the aftermath, the RPF attempted to “soften” these racialized ethnic identities. Under the leadership of Paul Kagame, the current President of Rwanda, the RPF began to construct a powerful story that explained the genocide to the world: Tutsi had been targeted for extermination by a power-hungry and revengeful Hutu majority who were still angry about Tutsis’ position of power during the colonial era. The international community had failed to intervene. Ethnicity and ethnic categories were described as inherently dangerous, so any public discussion of ethnicity was banned and ethnic categories were removed from the census. Efforts were made to cast ethnicity as a Western imposition that had no place in pre-colonial Rwanda. These changes meant that blame for the genocide was also implicitly placed on foreigners. The RPF declared “One Rwanda for all Rwandans”—a new national slogan. This idea of so-called Rwandanicity is now the defining feature of the broader policy of national unity and reconciliation, an ambitious social engineering project that defines the political climate in Rwanda today. Under this policy, the government rewrites Rwandan history for the masses, romanticizing the ethnic harmony of pre-colonial times and blaming the genocide on the colonial powers and the international community. Mechanisms for promoting Rwandanicity include ingando “solidarity” or “reeducation” camps, the national education system, annual genocide commemorations, public mass graves and memorials, and state-controlled media like the New Times. While the ostensible goal of these programs is to prevent future ethnic violence, scholars like Timothy Longman and Filip Reyntjens have criticized the government’s approach for limiting freedom of expression and public debate. It has, however, succeeded in eliminating inflammatory discussions of ethnic hatred from the public spaces, and to the regime’s credit, no major instances of violence have occurred since shortly after the end of the genocide. In place of ethnic categories, politically sanctioned, non-ethnic categories, derived from an individual’s experience during the violence, have emerged. These categories—which include perpetrators, bystanders, survivors, and returning refugees—allow people to assume different identities. Ethnic Hutu were redefined as perpetrators (or génocidaires) if they were known or suspected to have participated in atrocities. Others, predominantly women, were considered bystanders (although relatively few fell into this category; Hutus in general have been treated with suspicion). Ethnic Tutsi were universally deemed survivors (or rescapé) if they were in the country at the time of the genocide. Those who returned to Rwanda after years in exile are considered returnees. These new categories became important because they meant that intraethnic divides were as salient—or sometimes more so—than interethnic divides. These non-ethnic subcategories were developed, in part, because of two important migratory processes. First, there was a massive exodus during and after the genocide (some feared direct violence, others reprisal for either helping or hindering the genocide). Second, approximately 750,000 Tutsis (and a small number of Hutu) returned to Rwanda after having lived for years as refugees in neighboring countries like Uganda and Tanzania or in Europe. These returning refugees were often highly educated, spoke English (rather than French), and often had close ties to the RPF. These two basic migratory processes did several things for the understanding of ethnicity. First, before the large exodus of a sizable percentage of the Hutu population, “Hutu” was a reasonably homogenous category. But after the genocide, those who fled—or were jailed—were associated with guilt and found it difficult to reintegrate without suspicion if they chose to return to Rwanda. They were usually forced to attend an ingando “reeducation” camp for weeks or months, where they were taught how to confess their crimes, embrace the new government’s version of Rwandan history, and participate in their communities. Second, Tutsi who had grown up in Rwanda and Tutsi who lived in exile since prior waves of violence shared a common identity as “Tutsi.” But the group in exile had very different experiences. They tended to be better educated because the schools in neighboring countries were higher quality and, in Rwanda, Tutsis were discriminated against in the school system after the country’s independence from Belgium in 1962. They brought skills and technical knowledge that was not yet widespread in Rwanda, but many of these returning refugees did not speak Kinyarwanda very well, and they’d learned English, rather than French, in schools. Most importantly, these returning refugees had not experienced the genocide. While many had lost extended family members, they suffered fewer psychological ailments than those who were directly involved in the killings. These post-genocide migratory processes had a profound affect on the reconstruction of ethnicity in the aftermath of the genocide, as they created divisions within the two major ethnic groups. Now, intraethnic distinctions were important, even as any discussion of ethnic categories was outlawed. These new identities—derived from an individuals’ experience during the genocide—even obscured rural-urban, class, and regional differences among the population. Despite government efforts, the categories of Hutu and Tutsi remain in Rwanda today. However, these categories look different than they did 20 years ago. For example, whether an individual grew up inside or outside Rwanda, or speaks English or French as a second language, often has a stronger impact on identity than whether they are Hutu or Tutsi. Current conflicts in the Central African Republic, South Sudan, and Syria are often depicted as ethnic, religious, or sectarian conflicts. These descriptions suggest that the conflicts are about a deep-seeded “hatred” that will be difficult, if not impossible, to resolve. But as Rwanda shows, not only are these interpretations overly simplified, but they also fail to consider the impact that these descriptions have on ethnic categories themselves. The various actors and social processes in each context of violence can transform the ways individuals understand their own ethnic or racial identity. And each individual’s experience during the violence—be it as a perpetrator or survivor—can become more meaningful forms of identity than ethnicity or race in the aftermath. Questioning the stability of ethnic categories allows us to challenge popular understandings of violence and talk more seriously about the complexity of issues involved in widespread discrimination and murder. What is interesting about the Rwandan case is that we understand now that the genocide was much more complicated than “ethnic” or “tribal” hatred. In the years to come, we will see whether the categories of Hutu and Tutsi may soften even further in lieu of other forms of social categorization, or whether they may persist and even reemerge as important forms of identity. A more serious, nuanced view of race and ethnicity that gets beyond simple headlines may also allow us greater ability to stop episodes of violence more quickly, and more successfully, in the future. Brubaker, Rogers. 2004. Ethnicity Without Groups. Cambridge, MA: Harvard University Press. This book challenges the “groupism” popular in most theorizing on ethnicity and race in the social sciences, and challenges scholars to look at how ethnicity, race, and nation are not things in the world but rather perspectives on the world. Cornell, Stephen E., and Douglas Hartmann. 1998. Ethnicity and Race: Making Identities in a Changing World. Thousand Oaks, Calif.: Pine Forge Press. This book uses examples and case studies from all over the world to discuss the persistence of ethnicity and race as powerful forms of social categorization today. Fujii, Lee Ann. 2009. Killing Neighbors: Webs of Violence in Rwanda. Ithaca, NY: Cornell University Press. This book offers a thoughtful account of the genocide that attempts to go beyond sweeping ethnic categories and instead look at individual actions. Fujii argues that ethnic hatred and fear do not fully explain how so many Rwandans participated in the genocide. Hintjens, Helen. “Post-Genocide Identity Politics in Rwanda.” Ethnicities. Vol. 8(1):5-41. 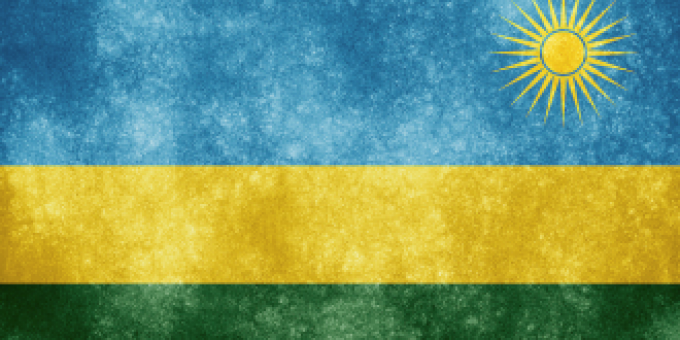 This article provides an important overview of how political identities have shifted in Rwanda since the genocide of 1994. Straus, Scott. 2006. The Order of Genocide: Race, Power, and War in Rwanda. Ithaca, NY: Cornell University Press. This book offers a definitive account of why the genocide in Rwanda occurred, drawing from hundreds of interviews with convicted participants in the genocide. Marie Berry is a Ph.D. candidate in sociology at UCLA. Her dissertation, “From violence to mobilization: war, women, and political power in Rwanda, Bosnia, and beyond” looks at the impact of war and mass violence on women’s civic and political mobilization. Marie Berry is a Ph.D. candidate in sociology at UCLA. Her dissertation, "From violence to mobilization: war, women, and political power in Rwanda, Bosnia, and beyond" looks at the impact of war and mass violence on women's civic and political mobilization.